WHO ARE WE AMERICA ? 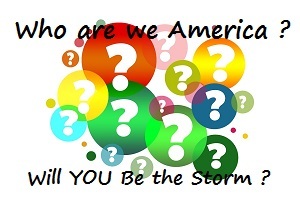 2021 – January 28, 2019 – Who Are We America? Do we even know? We’ve been blinded and decieved by greed. Beth Ann beats a drum for The Constitution. Did POTUS back down, or is he negotiating? Are we willing to Be The Storm? To sacrifice? To make the calls? Or are we just as bad as them?